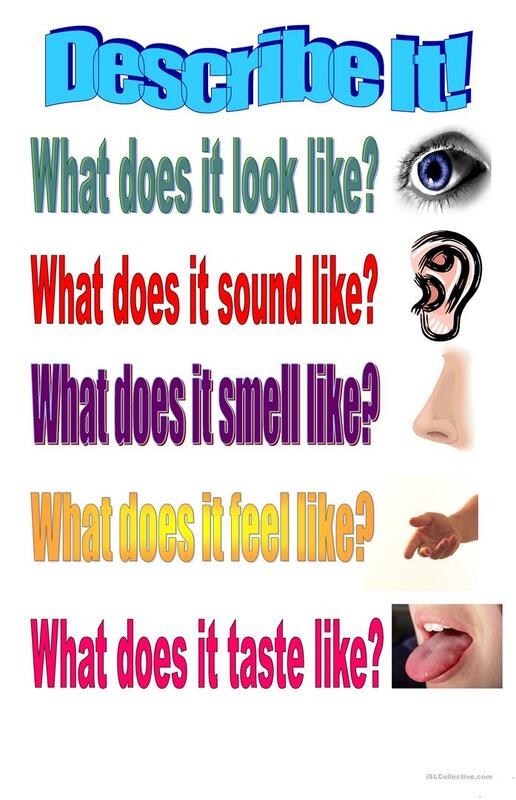 I am always reminding my students to use all five senses when they are describing things. This year I decided to post a reminder on the wall and save myself a few repetitions. It helped and instead of always repeating myself I was able to point to the poster and that was enough to remind the students that there is more to a description than how something looks. 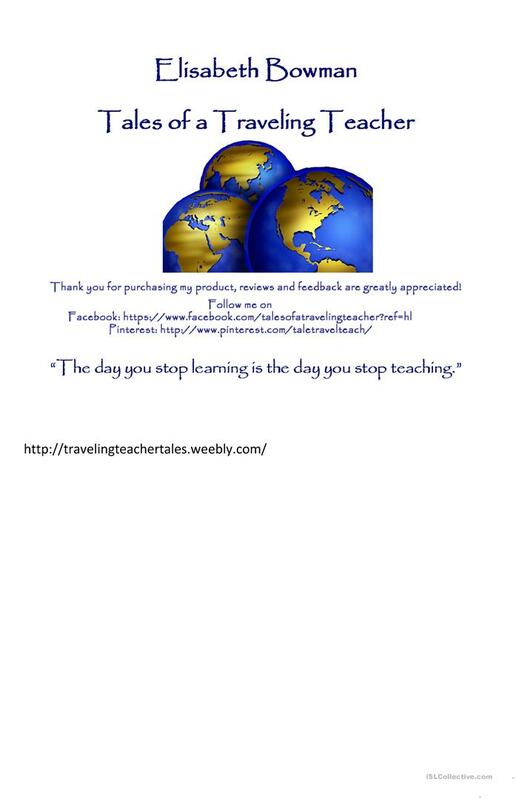 Special note: This poster is formatted to print on 11x17 paper! The above downloadable worksheet was created for high school students, elementary school students, adults and students with special educational needs, learning difficulties, e.g. dyslexia at Elementary (A1), Pre-intermediate (A2), Intermediate (B1) and Upper-intermediate (B2) level. It is great for practising Adjectives in English, and is useful for enhancing your class' Speaking and Writing skills.